November 29, 2018, 4:39 p.m.
YouGov’s brand advocacy rankings are a form of net promoter score and look at brands’ current and former customers and analyse which ones have the highest proportion of people recommending them to a family member or friend. Money transfer service TransferWise comes out on top with a score of 82.8, underlining the British public’s desire to avoid hidden charges while abroad. It beats last year’s top-spot holder MoneySavingExpert, which has a score of 74.5, once again confirming how keen Brits are to bag a bargain. Completing the top three is Universal Studios Orlando, with visitors giving the destination a rating of 73.2. Travel brands and destinations are well represented in the top ten. Riviera is in fourth place with a score of 70.4, narrowly ahead of Disney World Florida on 69.3. In seventh place is Trailfinders, which has a score of 67.6. Consumer technology also performs strongly. Sonos is once again in the top ten in sixth with a score of 68.1, while audio equipment firm Bose drops from fourth last year to seventh place this with a rating of 68.0. Completing the top ten are Dacia (67.4) and Miele (67.4). 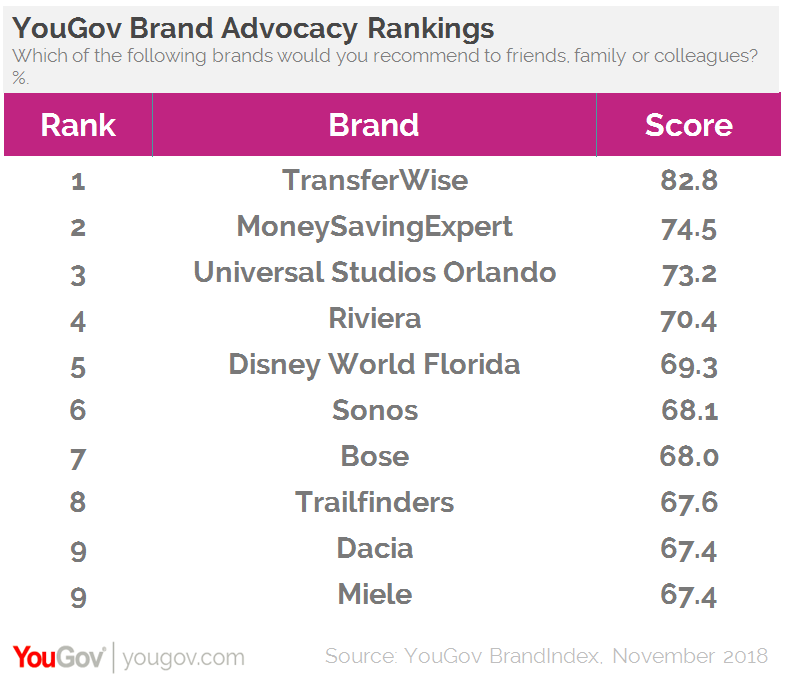 YouGov also reveals which brands have the most improved level of customer advocacy. TUI has seen its score rise sharply on this front – up 12 points to 48 - and takes the top spot. Much maligned rail company Southern’s score remains in negative territory, but its score is moving in the right direction at least – up 12 points to -30. After a significant marketing drive, Chinese phone provider Huawei has achieved a jump in market share. Alongside this its advocacy ranking has grown by 11 points, and now stands at 31. Our results reflect the growth of the cost-savvy traveller. 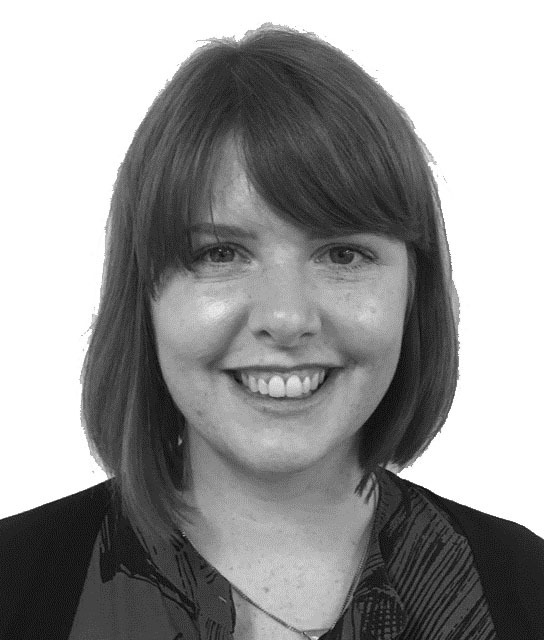 Many consumers, particularly those in younger age groups, are taking advantage of new technology and services that mean they avoid charges when abroad. TransferWise is clearly doing a solid job of satisfying their customers’ needs, as evidenced by the high level of brand advocacy. A recommendation for a brand can be an extremely powerful part of purchase decision making, and this is particularly true in terms of companies that help consumers get a little more for their money.